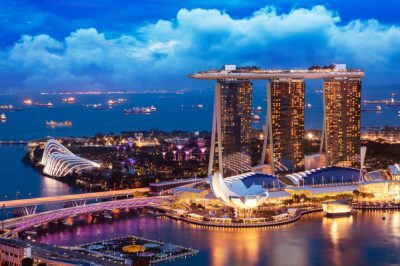 At a time when the Government of Singapore is having great plans for further expansion of the two integrated resorts (IRs), a problem associated with the social impact of gambling has emerged. In case that the country’s Government has been closely monitoring the impact which gambling has been having on local society ever since the casinos started operation about a decade ago, it would have gathered enough data to see the actual extent of problem gambling and the damage it has inflicted on individuals and their families in various aspects of their lives. It turns out that a large number of Singapore people are aware of the possible harm associated with gambling, not to mention that more people are seeking professional help for their gambling problems. In addition, fewer Singaporeans have been reported to visit the casinos at the two integrated resorts which started operating in 2010. According to data provided by the National Council on Problem Gambling (NCPG), a total of 967 people got professional counseling in 2018 at the three appointed agencies of the Council – the National Addictions Management Service, the Resilienz Clinic, and the Psychealth Practice and THK Centre for Family Harmony. This has been the highest number since 2014 when 1,035 Singaporeans were counseled for their gambling problems. Reportedly, the total number of gamblers who sought help was much higher, as no less than five groups helping gamblers have not been appointed by the NCPG. Since the opening of local casinos, casino levies collected by the Tote Board have fallen, indicating that gambling may have lost its appeal to local residents. Still, counselors believe that more people could be exposed to risks associated with gambling, despite the lower number of people who have visited IRs’ casinos in 2018. According to specialists, such people could be generating losses elsewhere, on online gambling platforms, for example. So, it could be irresponsible from the authorities to consider the expansion of the local integrated resorts’ gambling component without first addressing the actual social impact of gambling among Singaporeans. That is why the country’s Government needs to review the extent of damage and gambling-related harm inflicted on individuals and their families over the last 10 years. In addition, the authorities should provide more detailed information on the future actions which are set to be taken in order to minimize these effects. As CasinoGamesPro has reported, the daily casino entry levy for Singaporeans and permanent residents was raised from SGD100 to SGD150. The annual levy was also boosted from SGD2,000 to SGD3,000. According to previous reports of the Casino Regulatory Authority, Singaporeans and permanent residents made an average of 20,000 visits a day in 2010. The number of visits fell to 17,000 a day in 2012. Many local gamblers have also banned themselves, or their families have suspended them, from entering the casinos as they have been dealing with the consequences of problem gambling. Tham Yuen Han, the executive director of We Care Community, has revealed that 348,856 people had banned themselves from gambling at casinos at the end of 2018. The figure represented an 83% increase from the 190,927 people who took advantage of the self-exclusion option in 2014. A total of SGD131 million was collected by the Tote Board in casino entry levies for the twelve months which ended in March 2018. 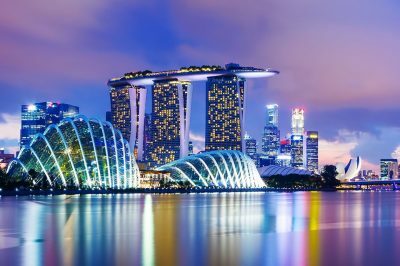 The figure represented a 41% decline from the SGD223 million collected in the first full fiscal year since the Singaporean casinos’ opening (the twelve months which ended in March 2011).